Initially, I wanted to learn Korean so that I could watch Korean dramas and variety shows with greater ease. I did not want to miss out on aspects of the show due to the language barrier so I resolved to understand the original language. 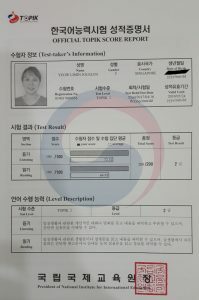 Being a student, I wanted a Korean language course that was affordable but also had good reviews. It eventually led me to Agape School of Education (ASE). It was very easy to sign up for the courses and in no time, I was already in my first class. My teacher was very kind and patient with the students. 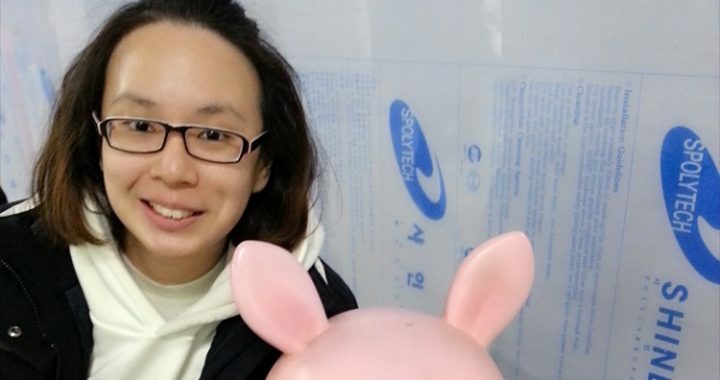 She made sure to modify her speed and teaching style according to our pace of learning. Whenever we had doubts or questions, be it in class or outside of class, support was always available. My teacher was also very approachable and motherly, and I never felt worried or unsure if I should ask a question. She is not only a teacher but also a friend and a mentor. Because of her and the teaching style at ASE, I not only fell in love with the language, but I also became more interested in the history and culture of Korea. The best part of my whole experience is that I feel that a new passion for learning language, history and culture has been ignited within me. I would definitely recommend ASE to anyone who wants to pick up a new language. Thanks to them, within 2 years I was ready to take my TOPIK 1 examinations, an international accreditation examination. 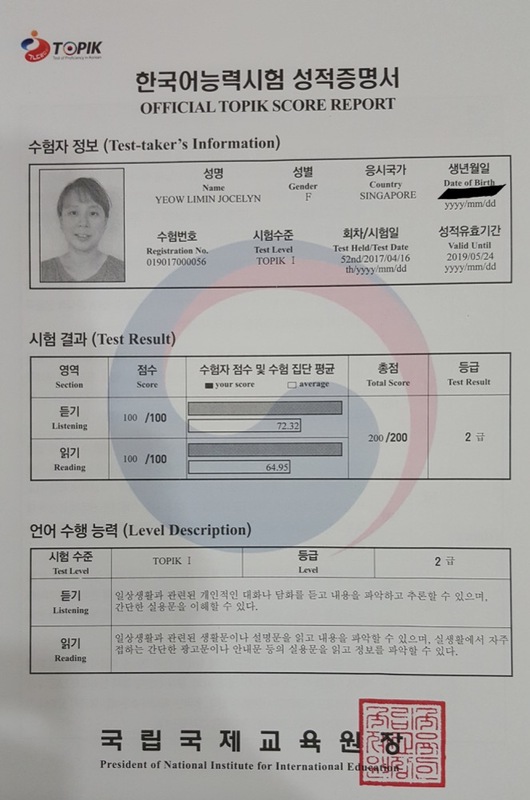 I received full marks for my examination and I can’t wait to learn more about Korea! Posted in Student Success Stories.